"Grandma's Pantry" Too is not a second pantry with everything baked and cooked already....sorry to disappoint!! But don't pass this by as there are many tasty papers in this digital paper pack!! These digital background papers are NOT included in the FQB "Grandma's Pantry" Collection, so please don't miss out! 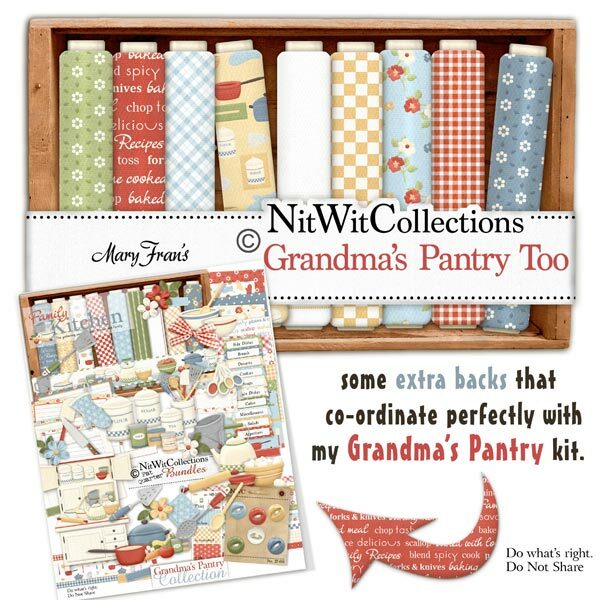 15 digital background papers that coordinate and colour match my "Grandma's Pantry" Collection.